The GE C30-7 was the original "Dash 7" model of the series that would ultimately propel the company into first place in the locomotive manufacturing market, ahead of General Motors' Electro-Motive Division (EMD). The model was essentially an upgraded U30C, which was part of the company's earlier Universal line, and its improved reliability (particularly GE's very rugged traction motors) won over many railroads as more than 1,100 were ultimately built for both domestic and foreign lines (interestingly, the largest buyer of the design was a foreign line). Today, you can still find examples of this model operating all around the country in active revenue service on both regionals and short lines. Additionally, while the design is still somewhat young there is one already preserved, Louisville & Nashville #7087 parades as New Hope & Ivyland #7087 in New Hope, Pennsylvania. The GE C30-7 (read C30 “Dash” 7) looked very similar to the model it was designed after, the U30C, save for its flared rear radiator and upgraded components and electronics. While the "Dash 7" line was somewhat different in how GE classified its locomotives, the letters and numbers meant exactly the same thing as the U-boats. For instance, in regards to this particular locomotive the "C" denoted the model was a six-axle unit (or featured a C-C truck setup), "30" listed the power rating (3,000 horsepower), and "7" simply referred to the unit as part of the "Dash 7" line. 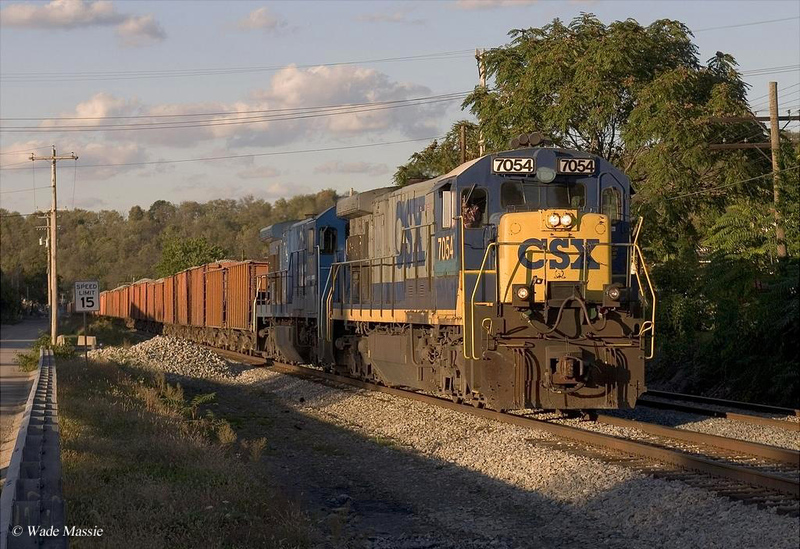 The C30-7 came equipped with GE's standard 4-cycle model FDL16 prime mover utilizing the company's very reliable 752 model traction motors. Meant for use in heavy freight/drag service the design, up to that time offered the most tractive effort of any Dash 7 model; 91,600 pounds of starting effort and 91,500 pounds continuous. In regards to carbody styling, this actually changed very little from the Universal line and the C30-7 was actually the exact same length as the U30C (67 feet, 3 inches). Again, the only noticeable difference from the two models was the flared radiator on the model, a feature that would become a trademark of virtually all future GE models that began with the late U-boat models. Of note, General Electric also manufactured a variant of the locomotive, the C30-7A. As with the four axle B30-7A the only difference was the smaller prime mover, a 12-cylinder FDL that offered the same 3,000 horsepower but was more fuel efficient. The locomotive was requested by Conrail, who received its sixty units between May and June 1984 (numbered 6550-6609). 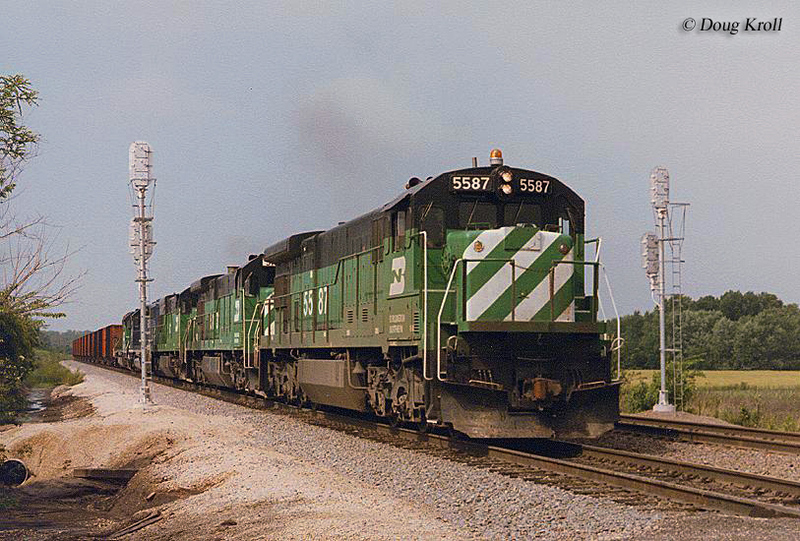 Orders for the GE C30-7 began in September, 1976 when the Burlington Northern requested a small batch and sales took off from that point. Roads like the Union Pacific, BN, and Santa Fe all purchased 140 or more examples and Mexican system Ferrocarriles Nacionales de México bought a whopping 301 units. 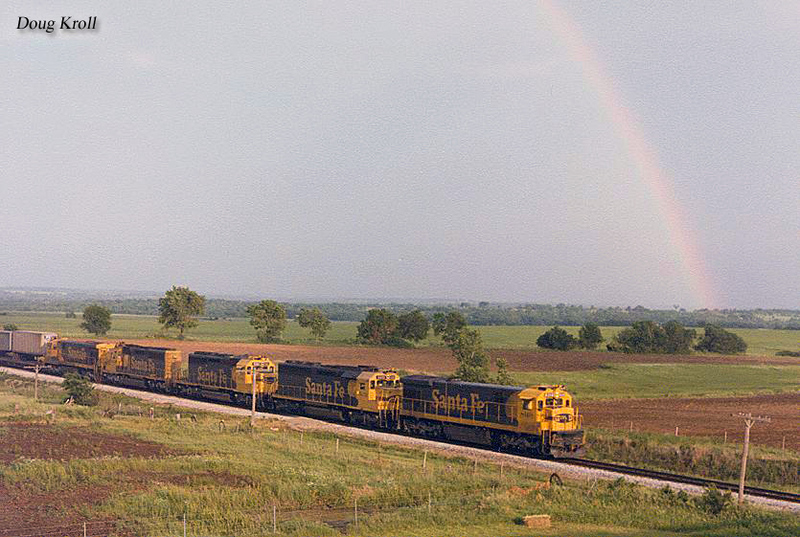 By the time production was completed in mid-1984 on the C30-7, GE had sold some 1,137 units to UP, BN, AT&SF, Conrail (the road also purchased 10 standard examples of the design), Louisville & Nashville, Norfolk & Western, and Seaboard Coast Line. Today, you can still find many of these locomotives operating in active revenue service on smaller lines all around the country as well as in use by private companies (they have all been retired from Class I rosters). Some of the current owners of the model include the Huron & Eastern Railroad; Larrys Truck & Electric; Ohio Central; Transportacion Ferroviaria Mexicana; Central Michigan Railway; Minnesota Commercial; Montreal, Maine & Atlantic; and Power Source Supply, Inc. Lastly, for more information about the locomotive please refer to the chart above for a complete production roster.